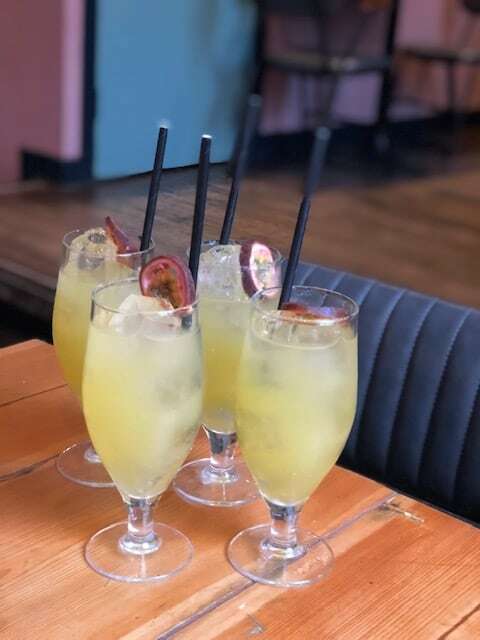 Who doesn’t love a good bottomless brunch in London?! 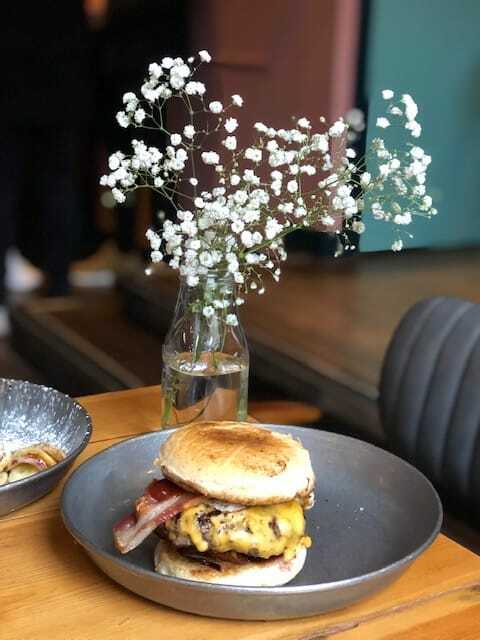 We visited Big Chill in King’s Cross which serves brunch on Saturday and Sunday between 12 and 4.30pm by Chuck Burger, the guys behind the epic Hotbox. 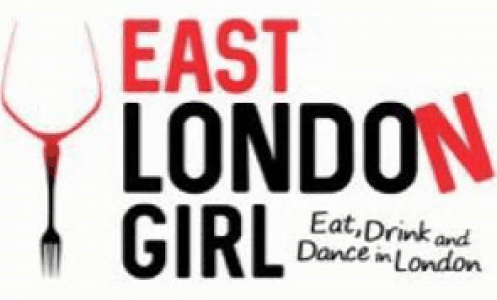 Big Chill is a great bar with a chilled vibe during the day with DJs playing later in the evening. The venue is open until 3am on Friday and Saturday nights. Oh and don’t forget the rooftop! 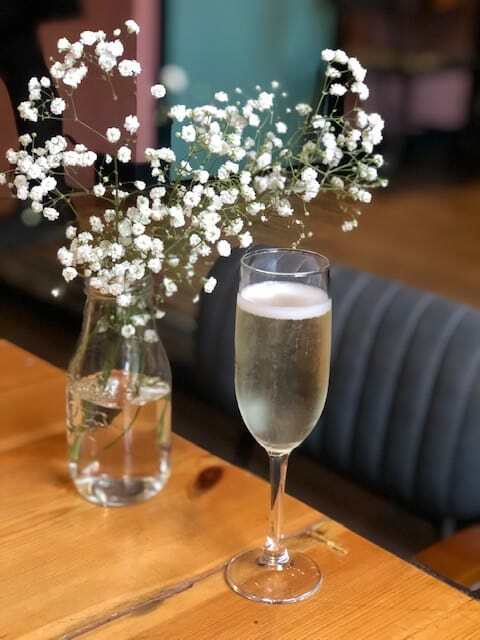 There are 3 different drinks included in the bottomless brunch including prosecco, passion fruit spritz and espresso martini (Absolut Vanilia vodka, Cazcabel Coffee tequila,salted caramel, espresso). 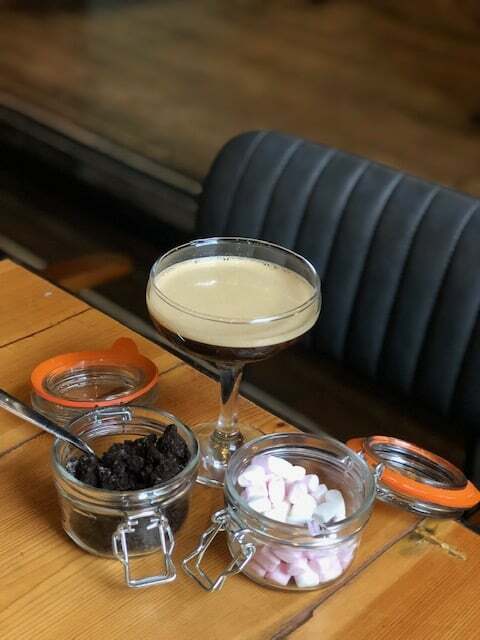 The best bit is that the Big Chill offers pimp your own espresso martini with marshmallow, crushed oreos and biscuit. Pretty cool hey! 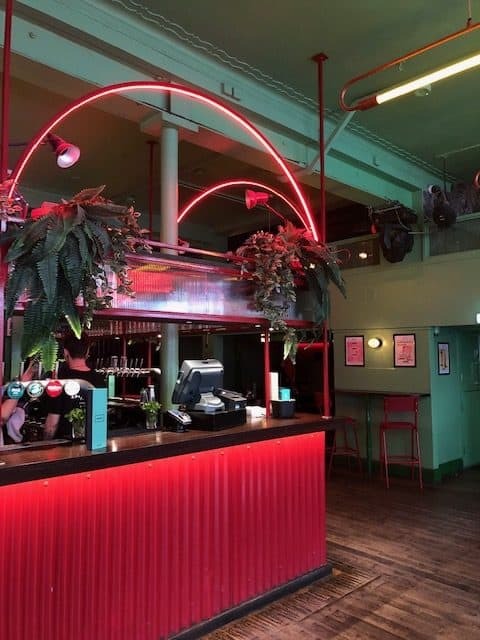 The selection of drinks is £25 for 2 hours. 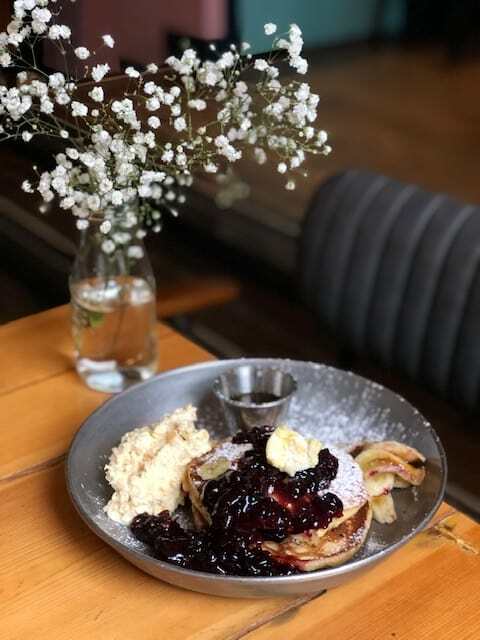 There is a great selection of brunch dishes from Chuck Burger on the menu. It was hard to choose to be honest! 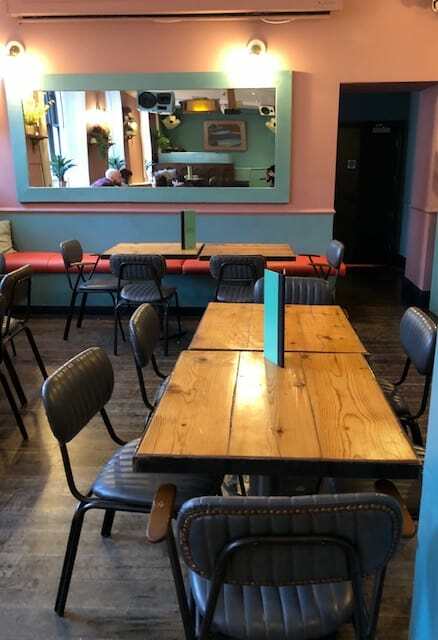 We were impressed with the dishes and thought they were reasonably priced. 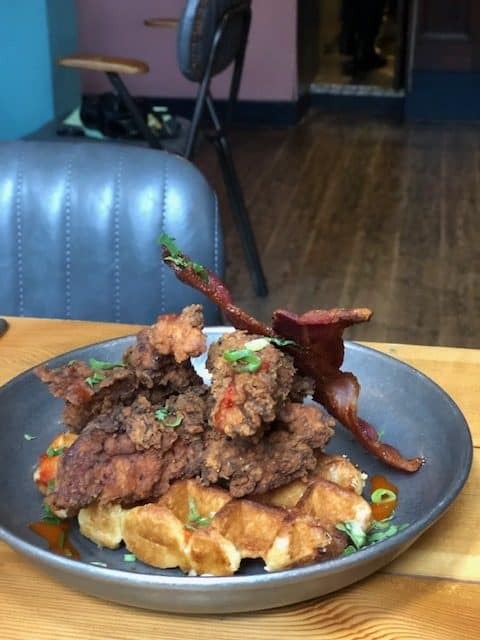 We kicked off with the Waffle Chicken: Belgian waffles, buttermilk marinated crispy fried chicken strips, maple smoked streaky bacon, Canadian maple syrup (£9). This is one of my favourite dishes as I love the contrast between sweet and savoury. We also loved how crispy the bacon was! 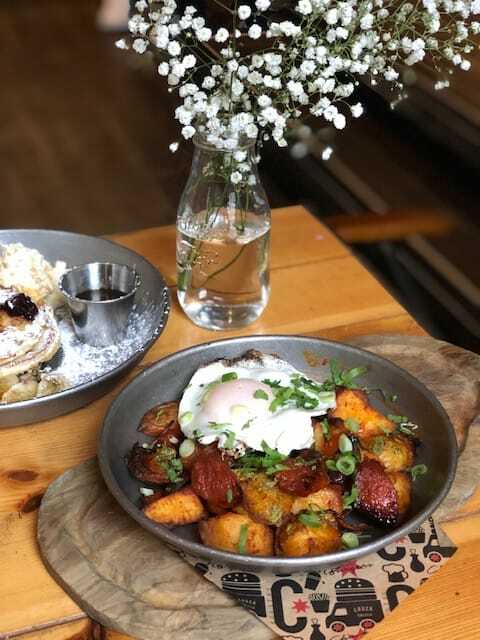 The Chuck Hash served with spicy baked diced potato, onions, peppers,Sriracha with a crispy fried egg (£6.50) and chorizo (extra £2) was so flavoursome. The sriracha gave the dish a tasty kick as well as the additional chorizo. It is not a dish I would normally opt for but definitely one I would go back for. The Buttermilk Pancakes with Canadian maple syrup,brulée banana, cornflake whipped cream (£7.50) were pretty darn amazing! It was a good portion size and the toppings were exciting and different to normal. Lastly, but certainly not least we had the Morning Glory (£9.50). This was a beast of a brunch dish with a beef patty, fried egg, maple cured bacon,semi-dried tomato, potato rosti, chipotle ketchup. What a legendary, perfectly proportioned brunch burger. We were impressed that gluten free buns & bread was available for just 50p extra. So many places don’t cater for gluten free and if they do it is an additional £2-3. 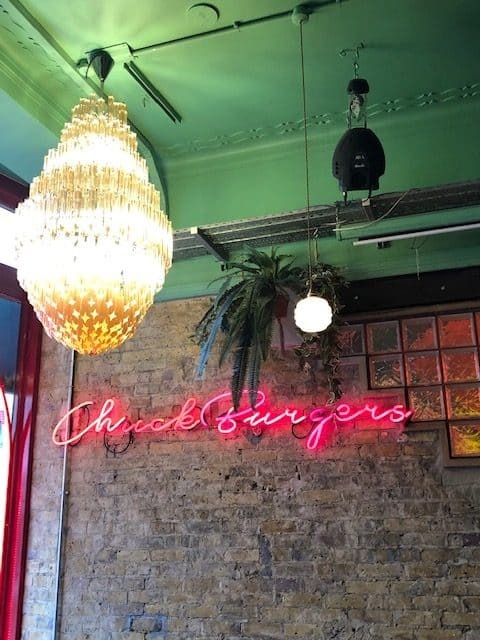 This was an impressive bottomless brunch in London from Chuck Burger. The private room upstairs makes it an intimate occasion with a DJ playing throughout the brunch. The choice of three drinks was a winner and the food was on point.